Big Apple caters for a vast number of events including Conventions, Corporate Functions, Office Parties, Breakfast Meetings, Graduations, Family Reunions, BBQ,s, Picnics, Birthdays, Rehearsal Dinners, Theme Dinners, Garden Weddings, Indoor Weddings or any other occasion. We also offer other services such as rental of equipment, linen, cutlery, dishes. At Big Apple Catering we know how difficult it is to plan a party, so we are committed to ensuring that you enjoy your party free of stress. Whether it is a family reunion or casual gathering for a sports game we strive to make your party a complete success. We take pride in providing exceptional service and preparing the freshest and most flavourful foods. So, interact with your guests … and most of all enjoy your party … because we do the cooking and make sure that the food will be great. We make your business our business. We know the importance of team building so we strive to make every corporate event a great experience with great food whether it is all day training sessions or a company picnic. Hosting fundraising events is not an easy task and Big Apple Catering helps non-profit organizations. We will give you top value and create an event that people will continue to attend year after year. To silent and live auctions to poker nights we make your event a success. Pay your guests the ultimate compliment and call us today. This holiday season is always a special time to gather with family or friends. What better way to share the holiday with your loved ones that over a beautiful meal. 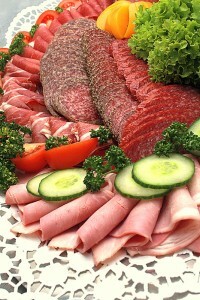 We provide appropriate food options to highlight the importance of the day or season. Our menus capture the spirit of the holiday you are celebrating whether it is Christmas, Valentine’s Day, St Patrick’s Day, Easter, Mothers Day, Fathers Day, Canada Day or any other holiday time. Picnics are a great way to celebrate office parties, block parties or family reunions. Big Apple Catering will serve up the best burgers, hot dogs, chicken and salmon in town. With years of experience we are the perfect choice for graduation, family functions or employee appreciation events. From 50 guests to 1000 our team has it covered! We can help you plan your picnic with venue selections or theme development.Big Apple Catering will donate any unused food to the Salvation Army, 7-10 Club or Loaves and Fishes. See our sample menus page for more details about our Picnic services. We know this is a hard time for families – too many things to do in a short period of time and under emotional distress. 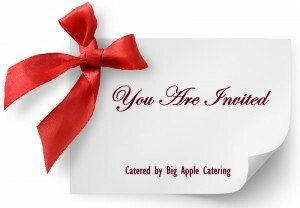 Big Apple Catering can handle all of the details with one phone call. We will coordinate the menu to be served, the linen and even fresh centerpieces for the guest tables. 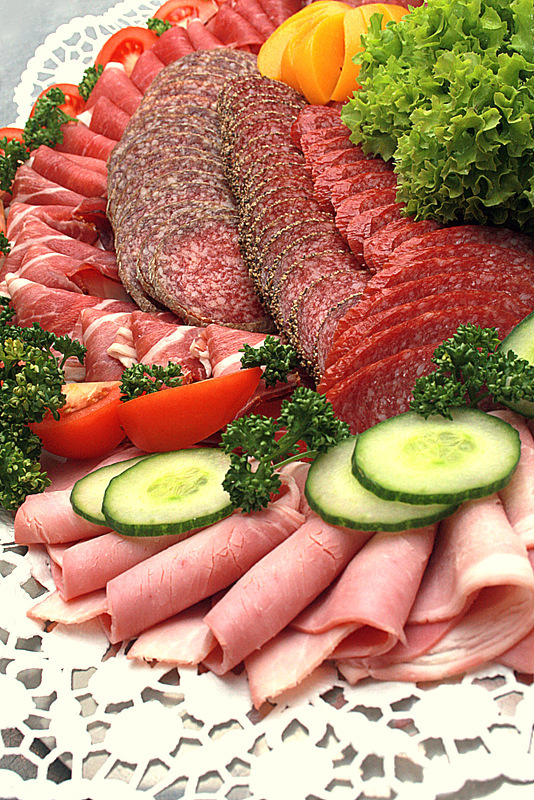 We can help you with menu choices and quantities, either over the phone or during a brief meeting. For larger catered receptions, you may need to plan for staff for the set up and clean up, leaving the family free to greet attendees at your home, funeral home, hall or at our downtown restaurant, New York Style Pizza & Pasta. Receptions following funerals or memorial services range from simple light lunch of finger food for a stand up reception, to a full buffet meal with staff and beverages. 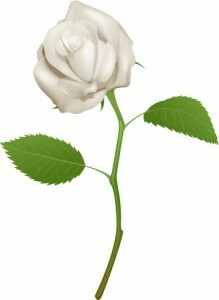 Please see our Celebration of Life menu options to choose from. Of course, we are always happy to adjust the menus to make everything just right for you and your family. If you would like us to create a custom menu for you, we would be happy to do so. Determination of pricing depends on the availability of our menu items, the location, the delivery options and full service staffing needs. Please contact us to schedule a convenient time to meet and discuss the arrangements. Whatever your wishes are, we will be there when the need arises. 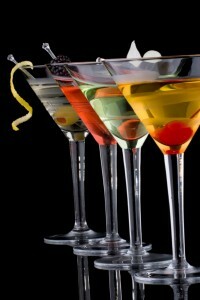 Our Cocktail Receptions include a wide variety of hot and cold Hors d’oeuvres plus other finger food sections. Items are designed and displayed on trays or chafing dish service. Enhance your Cocktail Reception with our Chef Carved Roast Beef or Baked Ham or Cascading Chocolate Fountain. Include the Gourmet Coffee service for the end of the event. As your next special event approaches you may be wondering what happens next now that you have booked us as your caterer. No need to worry. Big Apple Catering ensures that you will get great value and quality for the event that you envisioned, at the cost that fits your budget.